What Causes Pain On The Bottom Of Your Foot? Sometimes, you might know why your feet are hurting or what is causing pain on the bottom of your foot, but many times you will not be able to figure it out. It could be a number of things that are causing the pain, but it is always good to pin point the pain in order to find the correct cause. This blog is going to explore the four different kinds of pain on the bottom of your foot to help you figure out what you might have and how to treat it. Many people have pain in their heels, especially in the morning. The most common cause of this is plantar fasciitis, which is a condition that causes inflammation and pain. The most common indicator of plantar fasciitis is, obviously, heel pain, though you may even have arch pain as well. The areas that hurt vary on the severity of the pain. Some of the more common treatments are resting, taking non-steroidal anti-inflammatory (NSAIDs) medications, stretches for your foot and calf, and orthopedic shoes or inserts. Another cause of heel pain is that of heel spurs. These are abnormal bone growths that can cause pain when you walk or stand on the growth. This is something that can be caused by plantar fasciitis and you can treat it by wearing orthopedic shoes (depending on the severity) or surgery. The pain in your feet may also be a heel fracture. It is important that you see your doctor to rule out these two items and start proper treatment. Metatarsalgia is the most common cause of pain on the ball of your foot. This means that your metatarsal is swollen and inflamed, causing pain. The common causes of this problem are high impact sports, strenuous workouts, or improperly fitting shoes. You can treat this problem by resting your feet, taking NSAIDs, and doing basic exercises to cutdown on the inflammation and promote healing. Other things that cause pain on the ball of your foot are Morton’s neuroma, which is where the tissue thickens and can cause numbness in your feet, pain, and strange feelings. This condition is seen more in womenand is caused by high heels. Sesamoiditis can also cause this pain. Injury usually causes sesamoiditis, which will cause pain and inflammation in your big toe joint. The treatments for both of these conditions are things such as rest, NSAIDs, and wearing proper footwear or inserts. As stated above, arch pain can be a symptom of plantar fasciitis. You may also have pain in your arch because you have low or fallen arches. You can treat flat feet or low arches by wearing special orthopedic shoes or inserts, doing arch strengthening exercises, resting, and pain relievers for the pain in your arch. You can also use ice to numb the pain, and use braces for your feet if necessary. Two of the most common causes of toe pain is that of arthritis and gout. It is best to go to the doctor if you have toe pain to learn which course of action you should take. Most treatments revolve around NSAIDs, exercises to promote healing, and possible diet changes to keep gout from flaring up. Other conditions that can cause toe pain are hammertoes, bunions, and claw toe. Again, seek medical help to know which condition you have to receive adequate treatment. Once you know where the pain on the bottom of your foot is specifically, you will be able to either start treatments or help the doctor to come to a quicker diagnosis. Once you have found out the specific problem you have, than it is time to start your treatment. 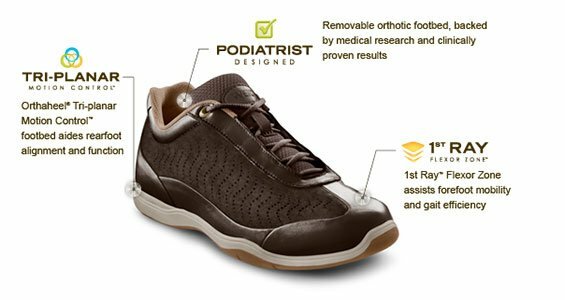 Places such as The Orthotic Shop have several orthopedic shoes and insoles that will help treat and stop the pain in the bottom of your foot. Take a look around to see what we have!